The Reggio Emilia approach to early childhood education is based on more than 40 years of experience in the Reggio Emilia Infant/toddler and Preschool Centers in Italy. Loris Malaguzzi (1920-1994) founded the 'Reggio Emilia' approach at a city in northern Italy called Reggio Emilia. The 'Reggio' vision of the child as a competent learner has produced a strong child-directed curriculum model. Reggio approach has a strong belief that children learn through interaction with others, including parents, staff and peers in a friendly learning environment. Learning is viewed as a journey; and education as building relationships with people (both children and adults) and creating connections between ideas and the environment. Through this approach, adults help children understand the meaning of their experience more completely through documentation of children’s work, observations, and continuous teacher-child dialogue. Reggio approach guides children’s ideas with provocations—not predetermined curricula. There is collaboration on many levels: parent participation, teacher discussions, and community. 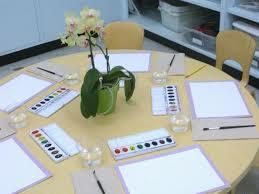 Within the Reggio Emilia schools, great attention is given to the look and feel of the classroom. Environment is considered the "third teacher." Teachers carefully organize space for small and large group projects and small intimate spaces for one, two or three children. Documentation of children's work, plants, and collections that children have made from former outings, are displayed both at the children's and adult eye level. In the Reggio approach, the teacher is considered a co-learner and collaborator with the child and not just an instructor. Within such a teacher-researcher role, educators carefully listen, observe, and document children's work and the growth of community in their classroom. Teachers provoke, co-construct, and stimulate thinking and children's collaboration with peers and facilitate the child's learning by planning activities and lessons based on the child's interests, asking questions to further understanding, and actively engaging in the activities alongside the child, instead of sitting back and observing the child learning. "As partner to the child, the teacher is inside the learning situation" (Hewett, 2001). Teachers are committed to reflection about their own teaching and learning. Participation This is the strategy of being together with others and the importance of the teachers, the children and the parents being stakeholders in the educational project. It is the co-construction of learning together. Participation gives value to and makes use of the hundred languages of children, of the many differing points of views of human beings - of culture. Participation creates a sense of belonging. Learning as a process of individual and group construction Each child, and human being, is an active constructor of knowledge, competencies and autonomies. This construction of knowledge takes place in his/her original way and is shaped, guided, influenced by their relationship with their peers, adults and the environment. This process allows for creativity, discovery, uncertainty, curiosity, and quality research! All this is promoted through play, in a aesthetically pleasing, spiritually and emotionally nurturing, relational interwoven process . It is intrinsically motivating, pleasurable and joyous. Environment, spaces, and relations The interior and exterior spaces of the early childhood services are designed and organised in interconnected forms that foster interaction, autonomy, explorations, curiosity and communication, and are offered as places for the children and for the adults to research and to live together. The environment interacts with, is modified by and takes shape in relation to the projects and learning experiences of the children and of the adults in a constant dialogue between architecture and learning. Care of the furniture, the objects and the play spaces by the children and the adults is an educational act that generates psychological well-being, a sense of familiarity and belonging, aesthetics and the pleasure of inhabiting a space, which are also primary premises and conditions for the safety of the environments. Professional Development Ongoing professional development is both the right and duty of each individual and of the group. It is a time for building understandings and meanings of methods of education. Professional development is given priority within the daily activity of the centres and schools through the reflective practices of observation and documentation, with the weekly staff meeting being the primary occasion for in-depth study and sharing? Assessment The assessment process is part of the totality of the aspects of life within the school or early childhood service, including the children’s learning, the professionalism of the personnel, the organisation and quality of the service. It is understood and proposed as an opportunity to recognise and to negotiate the meanings and internationalities of the educational project and is configured as a public action of dialogue and interpretation.